Jerren Nixon was on from the start for the first time and the Trinidad and Tobago striker made it an even more memorable afternoon by scoring the goal which ended almost five years without a victory at Easter Road. Whilst most of Scotland had been coated by a heavy overnight blanket of snow, all vestiges of the wintry stuff had disappeared by kick-off time in the Leith area. 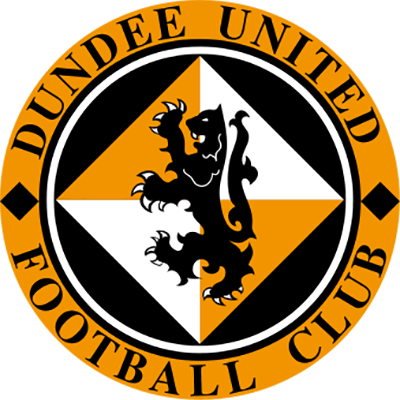 United wasted no time in trying reverse the recent poor trend of results in the capital and within two minutes, Jim Leighton was at full stretch to turn a curling 20 yarded from Scott Crabbe round the post. However, it was over 45 minutes before either keeper was again tested, though United did dominate the match territorially. Again it was Jim Leighton who was brought into action as he got his finger tips to Jim Mclnally's diagonal shot. There was, however, nothing the Hibs keeper could do to prevent United going in front nine minutes later. 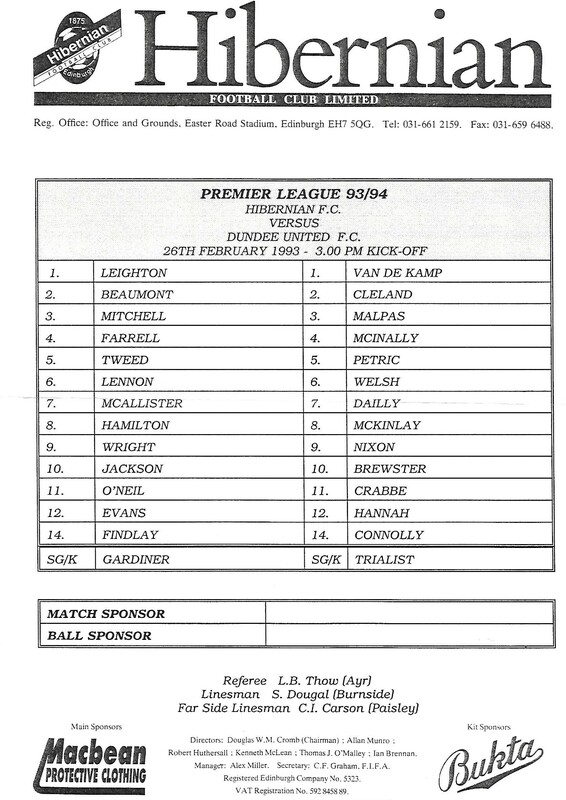 The build up may have carried an element of luck as Craig Brewster's shot was deflected into the path of Jerren Nixon, but there was nothing fortunate about the manner in which he lifted the ball over the diving Leighton with his left foot to open his Tannadice scoring account. 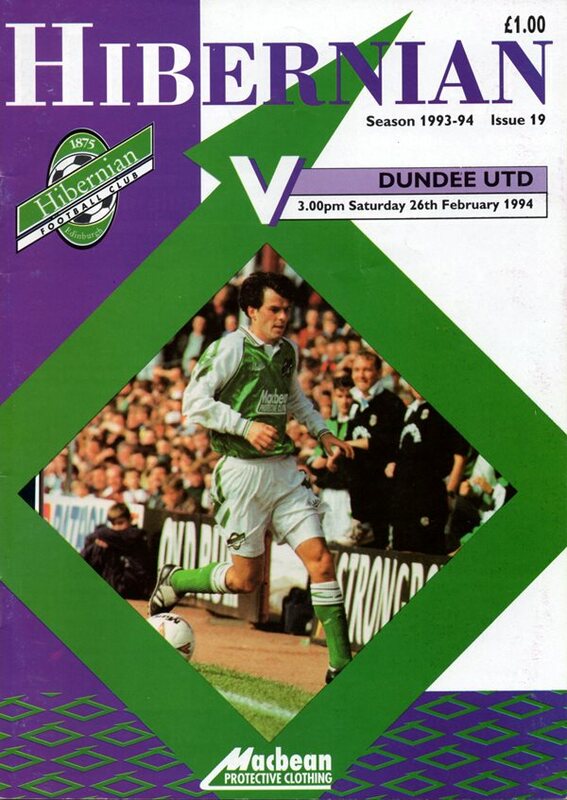 United continued to hold the upper hand and Hibs one and only shot on target came 14 minutes from time when Darren Jackson's 20 yarder was pushed round the post by Guido Van der Kamp. 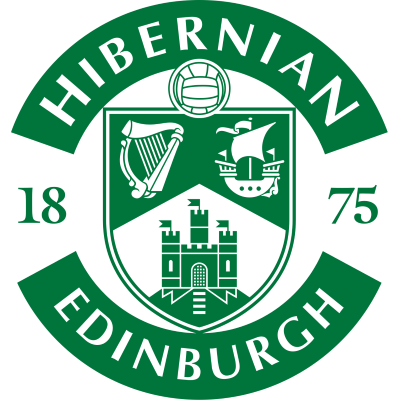 Indeed United played out the rest of the match without any threat of Hibs equalising and record our first win in four meetings against the Hibees this season.